Dan also kindly asked his publisher to reserve 50 copies of the new book to give away to my readers. 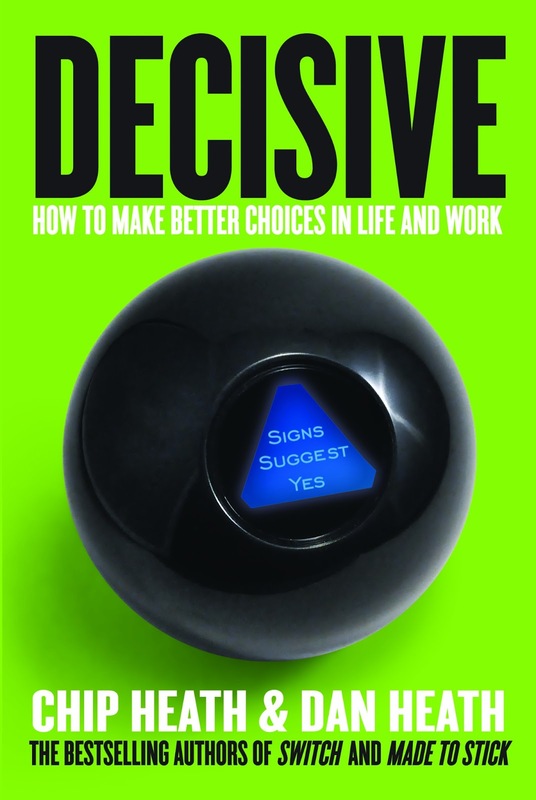 You can visit the Heath Brothers’ website and enter to win a free copy of Decisive. DH: Right. In fact, the story we cite in the book about PayPal speaks exactly to that. What some of your readers may not know is that PayPal originally was designed as a way to secure financial transactions between PalmPilot users. The founder of PayPal, Max Levchin, had created this brilliant program to do secure transactions through PalmPilots, which is a very difficult thing to do. In fact, their first venture capital investment was actually beamed from PalmPilot to PalmPilot live in a restaurant in the Bay Area. Later, they built a web demo to demonstrate the functionality of the PalmPilot product—the idea was to lure people to the PalmPilot project. Then, to their surprise, the web demo really started to take off, and they started to attract a lot more interest in the web product than the PalmPilot product. Initially, this really frustrated them, because the PalmPilot product was much more technologically advanced. Levchin has this great quote about getting emails from people from this place called “eBay” who wanted to put the PayPal logo on their online payment options, and at first PayPal’s reaction was “no, no, go away!” We don’t want our logo on your owl macramé auction, thanks! But PayPal came to this point where they had to decide: okay, we have 12,000 users on our PalmPilot program and over a million on the online demo. What do we do? So they abandoned the Palm Pilot side. Don't forget to click here to visit the Heath Brothers’ website and receive a free copy of Decisive.